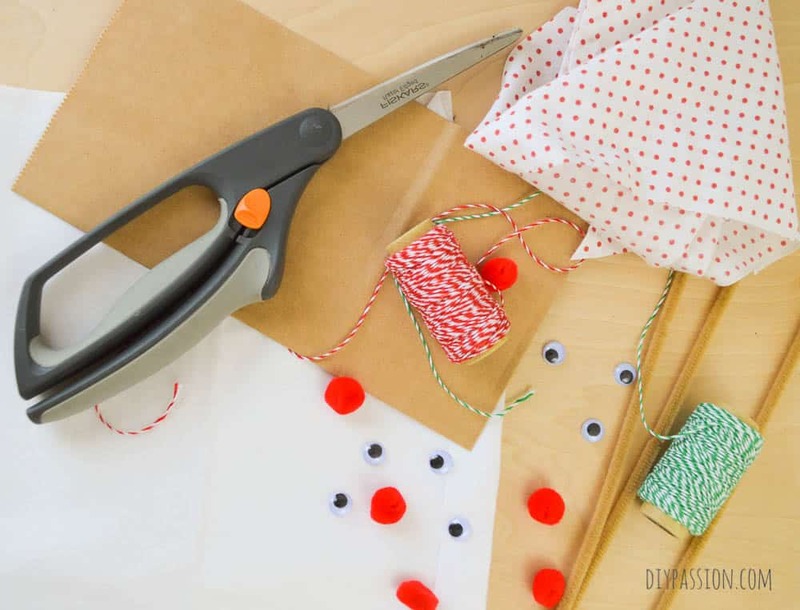 You’ll also need scissors, a glue gun and high value dog treats (not shown). I cut my kerchief fabric based on Buddy’s old kerchief. He’s a big fella – so if your doggy is smaller, then just adjust proportionately. 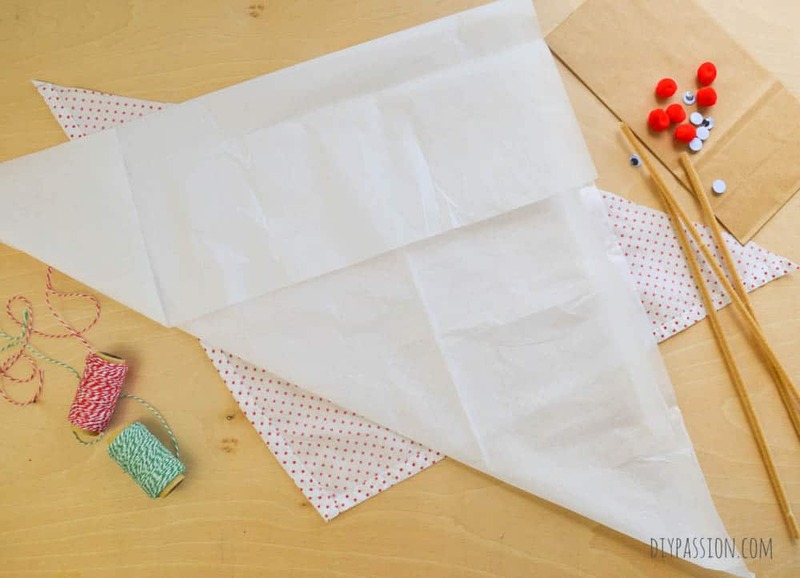 I cut a triangle of fabric that is 16″x16″x24″ approximately. Then, I simply used a piece of tissue paper and folded it into roughly the same size and laid it over the fabric, offset a little. Now’s the fun part! Gather up a pile of doggy treats. Bud’s fave is organic lamb lung. I broke them up so all the pieces were around the same size. 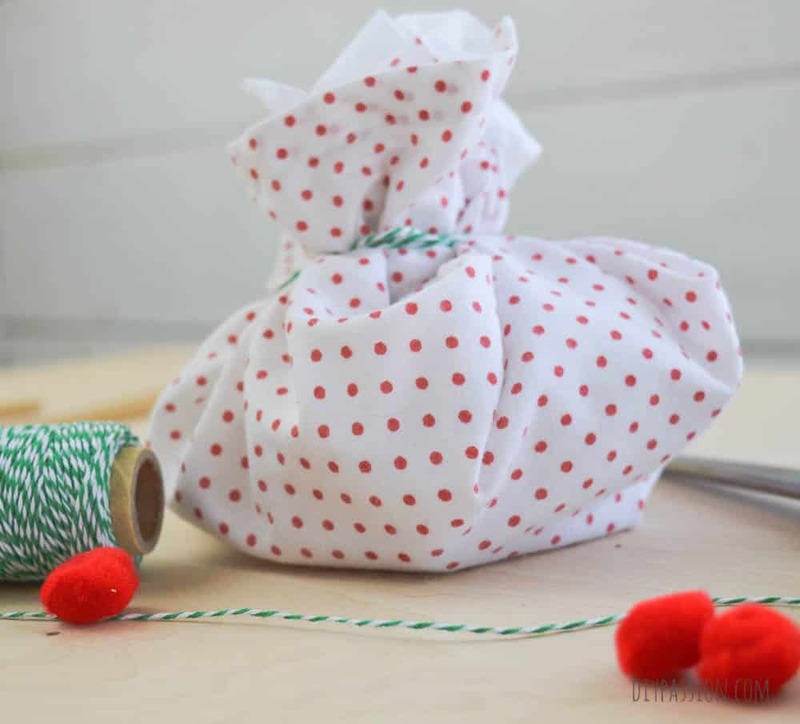 Pull the fabric and the tissue paper around the treats to form a pouch and secure it with some colourful twine. Now use a few little dabs of hot glue to add eyes and a nose and some brown pipe cleaners to make antlers! 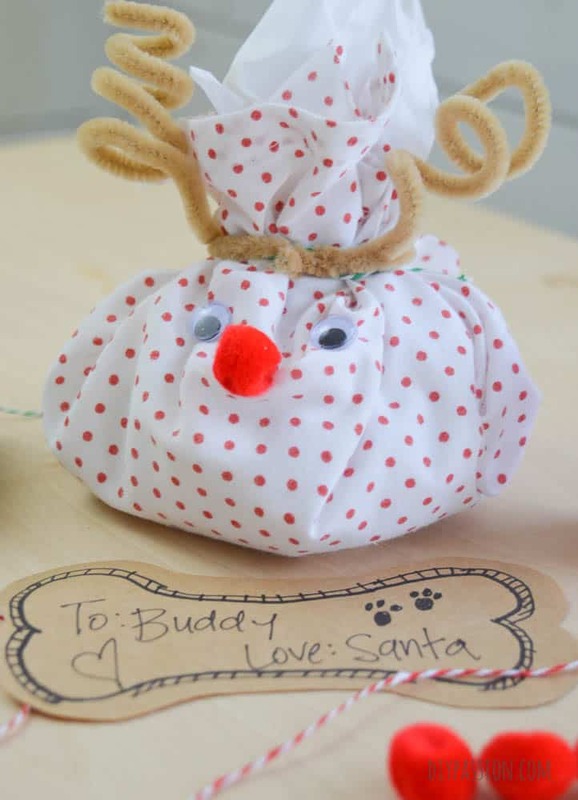 What an adorable idea, perfect for our furry friends at Christmas! 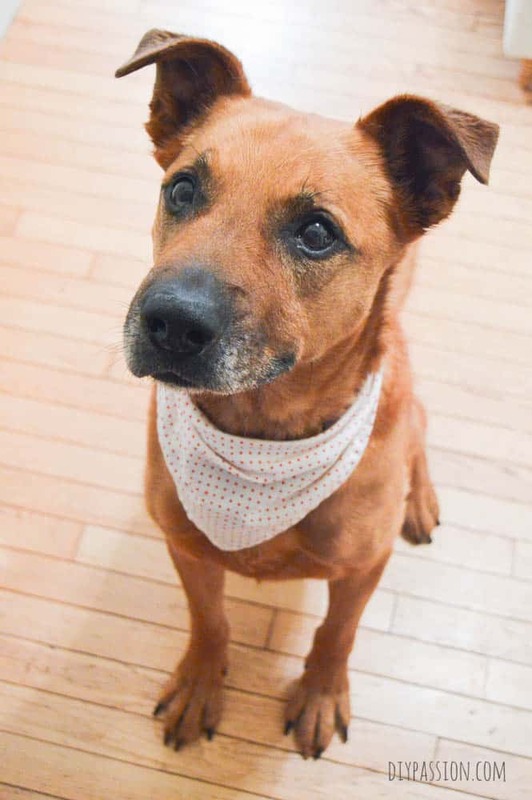 And that face, he’s so cute and looks very handsome in his new bandanna. I love this. I think I just found my dog Jovi’s stocking stuffer for this year! Aww, Buddy’s the cutest! 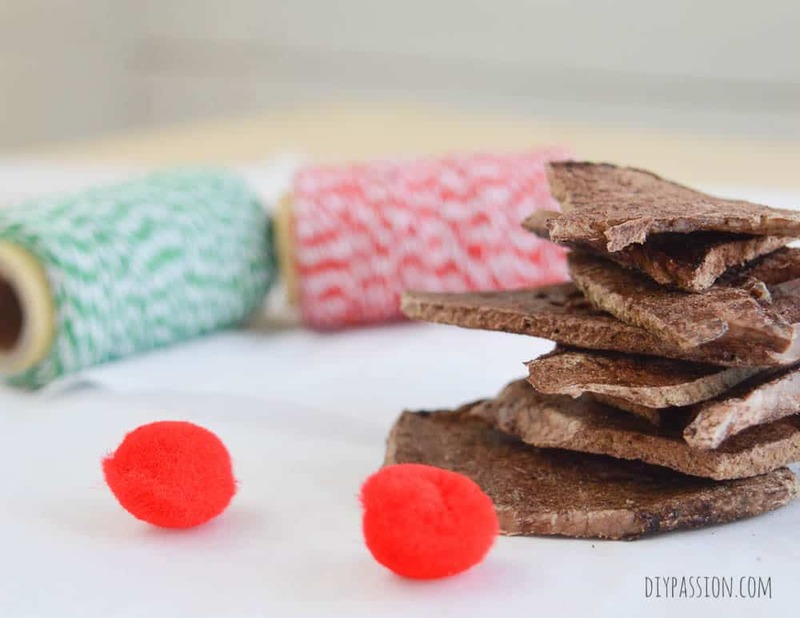 Of course there should be something for the dog at Christmas, love this idea! Thanks for sharing! What a cute and adorable gift! Of course a pet dog deserves a gift too!